How are your services going to benefit me? Content marketing is what 90% of all businesses use in their marketing campaign. Having relevant content on your blog can boost your search engine rankings and drive web traffic on the long run. Content marketing can help your business to keep reader attention, improve brand loyalty, generate leads and increase direct sales. I offer a wide variety of freelance writing services. You can read more about how I can help you by clicking here. I have listed some of my samples in this page. Are you going to write my content yourself? Yes! I manage my business alone. So, I write every piece of content by myself. Will your work be original? I guarantee that all content I provide will be original, well-researched and informative. How soon can you complete my project? It depends on what your needs are like. When you discuss the project with me I will also give you a deadline for your work. For example, custom blog writing can be sooner than an eBook so it basically depends on the project we are working. I assure you that I will deliver all content within the deadline I have given you during the discussion. What are the benefits of offering an author byline to freelance writers than having them ghostwrite the content? I would say it all depends on your needs. Giving an author byline to a freelance writer (only for those who have a good following and authority) increases the credibility of your content. 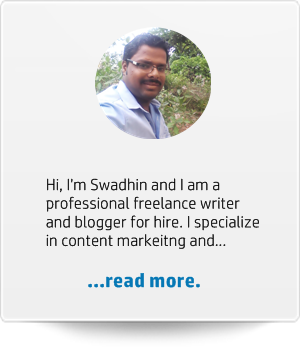 The freelance writer’s authority gets associated with your content and you can tap into his reader base. This is a very good reason to give authors a byline. On the other hand, ghostwritten content (which usually costs slightly more than content with byline) can place you as the author of the content. Needless to say, it will enhance your authority and build you as an expert. This is why some clients prefer to get the content ghostwritten. I believe every project that comes is unique. That’s why, I prefer to know your specific requirement before making any quotations. How do we decide on blog posts? If you have some topics or content outline, I would be happy to write them for you. Or you can also ask me to come up with topics that resonate with your audience. We can also have a mix of the two. What is your general work process? Every project is different from the other, but here is a general work process that happens after you contact me. Quote phase: Here, you share the details of the project requirements. We will then come up with a plan to that is focused to boost your business and achieve your goals. I will also tell you the time needed to complete the project and price details. Then I send an invoice of the agreed work and you are required to pay it before the work begins. Writing phase: Before this phase, I will ask you some basic questions about your blog and you will suggest me any specific topic or content criteria you have in mind. If you have no idea or are busy to choose content topics, I will strategise a set of topics that fits your business goals. After this, I dedicate my time for writing your custom content on the topics agreed. You can always check my progress via email. Submission phase: Your project will be submitted on or even before our agreed deadline. I will invoice the remaining balance (if applicable) which will be due on receipt. I can deliver your project in Microsoft Word format, as a shared Google document or directly upload to your blog, if you wish so. Of course! I offer one revision Free of cost as long as it falls within the scope of work discussed before beginning the project. Revisions are valid if asked within the first 14 days after submission of the finished project. If you ask for a revision after the lapse of 14 days, it will be subject to my availability. No free revisions will be entertained after 30 days of the completion of the project. How do you share the content you write for me? 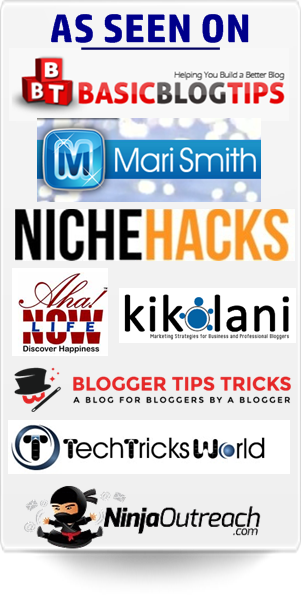 Every piece of content I write for you comes with a FREE one-time social media promotion. I’d love to give you an initial boost of traffic by sharing my written content across my following (normally Twitter with over 28K followers). If it’s a work with my byline, I will share it across most of my social media sites. If it is ghostwritten, I will share it with my audience showing you as the author of the content. I might also include your work (with a link back to your blog) in my portfolio page (only for articles with a byline). Can I repurpose content written by you? Of course! In fact, I recommend repurposing content in various forms to increase your reach. You can repurpose a long piece of content into shorter blog posts, or repackage them into an eBook or as a SlideShare presentation to increase its reach. You can even have them as lead magnets for increasing your email list. You can also republish it elsewhere like medium.com to increase your audience base. What are your “Freelance writing rates and refund” policies? The rates of any project will be agreed upon before starting any project. You are required to pay the agreed price before I begin working on the project. If you have long-term project requirements or bulk work, I might offer an initial discount. All payments made to the service are non-refundable. I can assure you that I am dedicated to helping you achieve your goals. All payments are to be done via PayPal. We might agree upon a custom payment method after discussion. Shall we start working on your new project? If you think I haven’t answered some questions, shoot me an email and I’ll be more than glad to answer them for you. 🙂 Please use this form for asking your query.